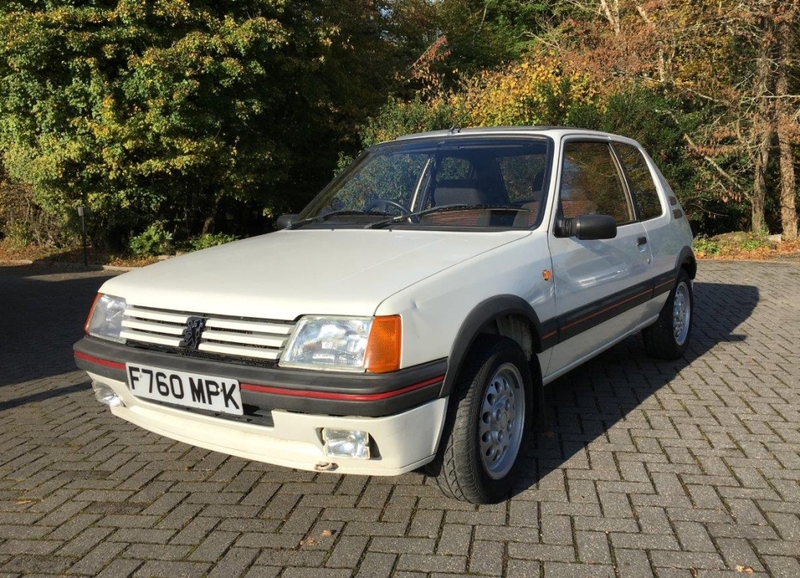 Three desirable Peugeot 205 GTIs will be on offer at CCA’s upcoming December Sale. 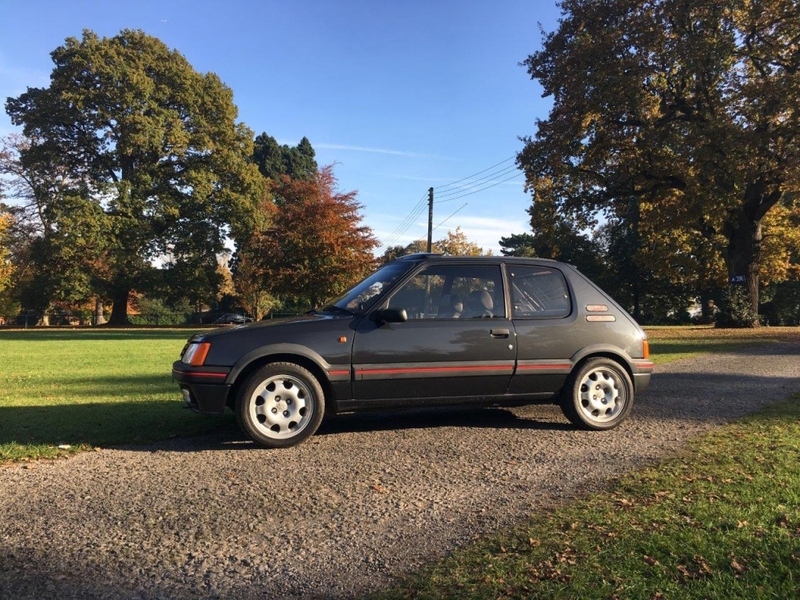 Recent sale prices at auction show the 205 GTI model to be one of the fastest appreciating hot-hatches on the classic car market. The selection available from CCA offers serious investment opportunities to buyers. 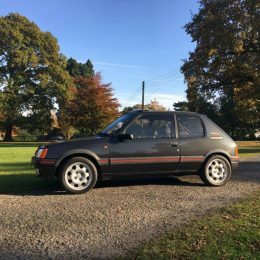 Three classic, eighties 205 GTIs are among over 120 cars to be offered at auction by Classic Car Auctions (CCA) at the December Sale on Saturday 3rd December at the Warwickshire Exhibition Centre. With rising prices, the cars are expected to ‘lift off’, just like the model’s legendary oversteer. The three French hot-hatches are expected to bring collectors and enthusiasts from across the country for the chance to own one of the fastest appreciating future classics on the market, which have recently been seen sailing through sale estimates at auction. 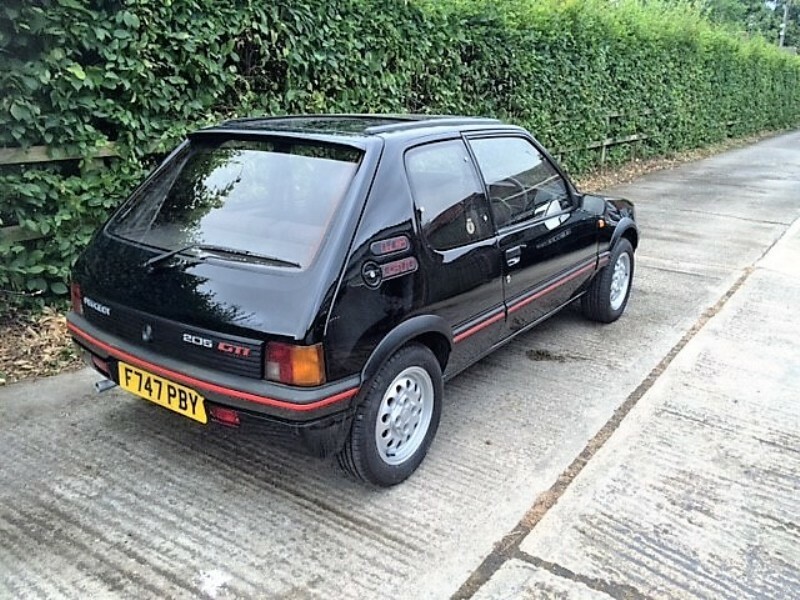 In July this year, a 1989 Peugeot 205 GTI, in mint condition with just 7,000 miles on the clock, was sold by CCA’s sister company, Silverstone Auctions, for £30,938, more than £12,000 over its estimate, and a new world record. 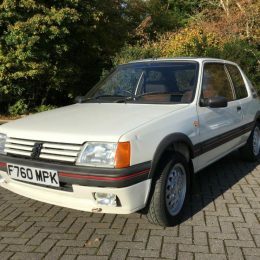 The first of the three is a 1989 Peugeot 205 1.6 GTI which has been mechanically and cosmetically overhauled to return it to its original condition, estimated at £5,000 to £7,000. Following an engine-out inspection, the car has had a new water pump, cambelt kit, head gasket, brake lines, radiator and wheel bearings, with suspension components removed, cleaned and painted where necessary. With a full glass-out respray in original Black gloss, followed by extensive flatting to ensure all panels are free from defect, the interior has been retrimmed where necessary, still maintaining the original 80’s cloth interior. The original 1.6 alloy wheels have also been retained and refurbished with brand new tyres. The second is a 1988 Peugeot 205 1.9 GTI, also benefiting from a recent overhaul to replace mechanical components as necessary as well as an interior refresh. The first owner ordered the car new from Mill Hill Peugeot in London and kept it for five years before passing it onto its second and current owner, who kept it until 2015. The car will be supplied with the original owner’s pack, including owner’s guide, handbook, maintenance booklet, radio guide and dealer location booklet, as well as a fresh MOT, and offered at ‘No Reserve’. 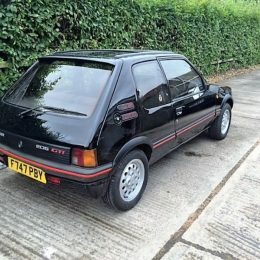 The third car is a 1988 Peugeot 205 1.6 GTI which has just emerged from 20 years in storage. With the interior still appearing to be in good condition, the car has been fully recommissioned to be returned to the road, and is showing just 56,000 miles on the odometer. This highly original, two owner example, will be offered at auction with a sale estimate of £5,000 to £7,000.